This drink is totally inspired by one of my favorite restaurants in Chicago, VTK. I had a similar cocktail there about a month ago and have been wanting to drink something similar in SF, but to no avail. The closest thing I could find was Poleng’s “Poleng Me” cocktail- a great combo of spicy and sweet. I made a revision to the drink by using the preserving syrup in a can of lychees instead of pureeing lychees to make juice–my thinking is that you still create that kind of juice from breaking down the two lychees by muddling them. If you want the drink hotter, add a pinch of red pepper flakes to the mixture to be muddled. Enjoy this cocktail with Thai food or during the summer when light flavors are in fashion. Muddle the cilantro leaves, pepper, and 2 lychees. Pour the vodka and lychee syrup into a martini shaker. Add the cilantro muddle to the shaker along with the ice. Shake well. 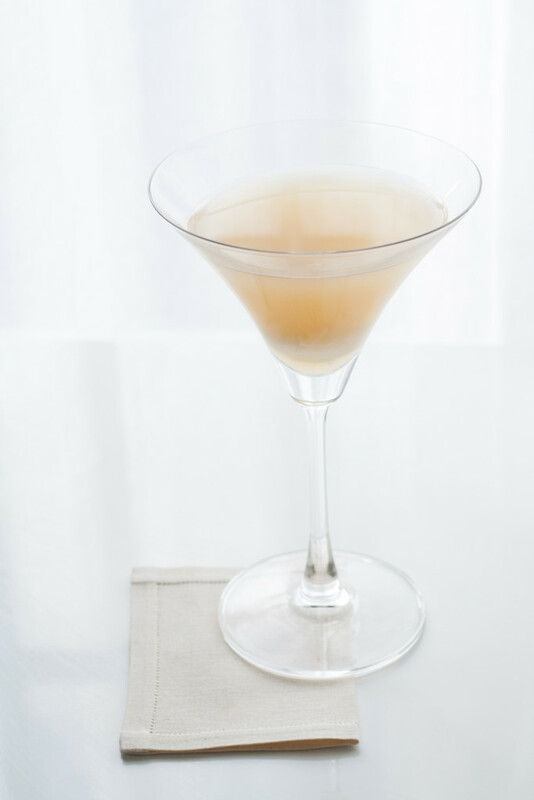 Strain the cocktail into a martini glass and add the remaining lychee to the glass for a boozy fruit finish to the drink.